Is this another coincidence? 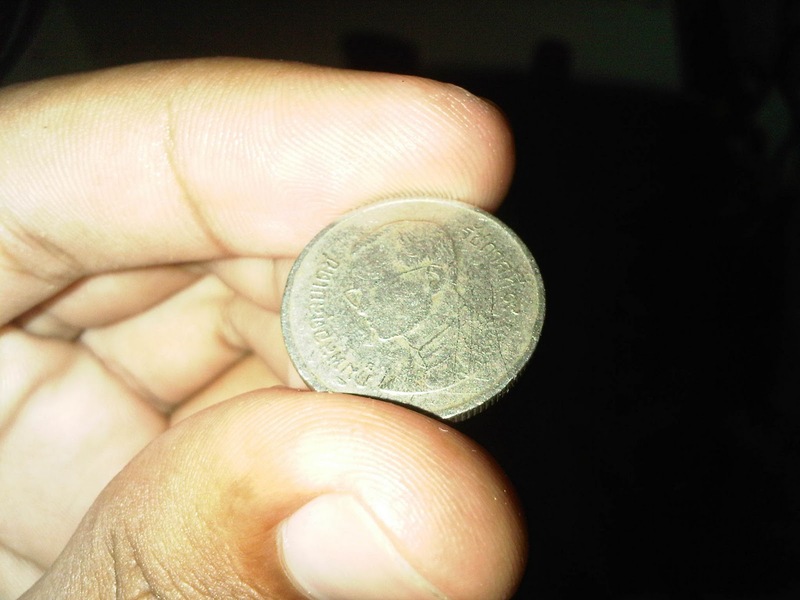 Days ago i received this Thai coin from a canteen cashier, the cashier did not know this is a Thai coin. But i took the coin anyway and kept it in my wallet. Talks about coincidence, we (me and Patchy) have so many coincidences! Okay but i cannot remember all of them sorry. But i can tell you, when my toes were hurt, weeks later she felt the same. She had puss in her toe. :O weird ha? And also when her monitor screen is damaged, my cellphone screen is damaged too. She bought a new LED monitor, and i bought a new cellphone (blackberry).